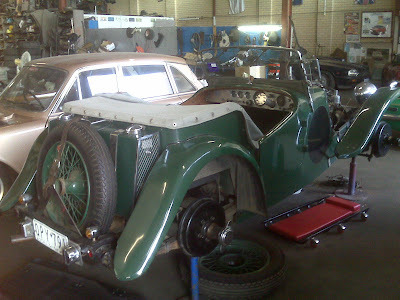 This old 1936 Triumph Gloria is having some repairs at Markich Motors. 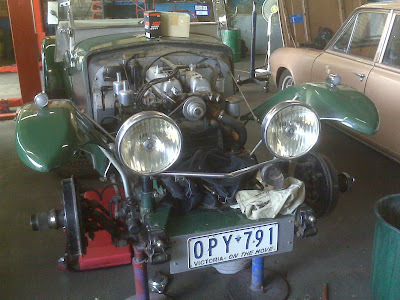 The odd thing about it is a very 'professional' look Riley 2.5 engine conversion whereas standard factory fit was Coventry Climax 4 or 6pot. 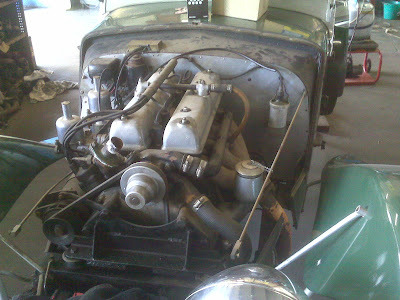 Not sure of the vintage of the conversion but Donald Healey had an assocation with pre-war triumphs (think Dolomite straight 8) and used the Riley engine immediately postwar in the Healey Silverstone.